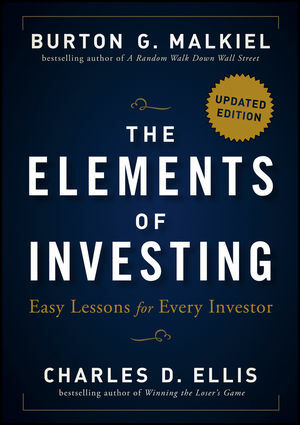 Page by page, Malkiel and Ellis skillfully focus their message to address the essentials and offer a set of simple, but powerful thoughts on how to avoid Mr. Market and his "loser's game," and instead enjoy the "winner's" approach to investing. All the investment rules and principles you need to succeed are here—with clear advice on how to follow them. Burton G. Malkiel is the Chemical Bank Chairman's Emeritus Professor of Economics at Princeton University and the author of the bestselling A Random Walk Down Wall Street. Malkiel has served on the President's Council of Economic Advisers, as dean of the Yale School of Management, as chair of Princeton's Economics Department, and as a director of major corporations. Charles D. Ellis is a consultant to large public and private institutional investors. For three decades, he was managing partner of Greenwich Associates, the international business strategy consulting firm. He has taught investing at both Harvard and Yale and is the author of fifteen books, including the bestselling Winning the Loser's Game.